Let your child find Santa Claus with your iPhone! 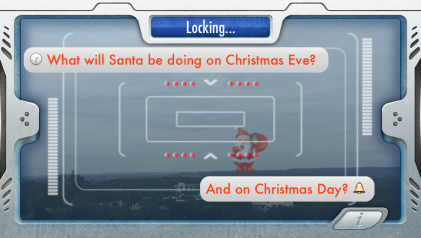 Lock on to Santa and listen to his Christmas preparations over a long range radio connection. Where will he be on Christmas Eve?!? 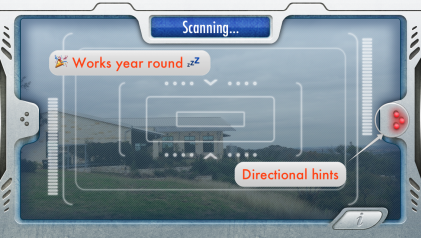 This Christmas gadget lets a child scan the horizon for Santa Claus. 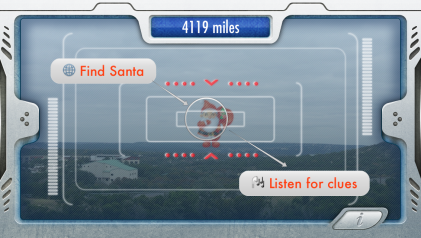 Once found, you will hear a simulated shortwave radio connection from Santa’s location with hints about his Christmas preparations. Is Santa Claus managing the elves’ workshop? Exercising the reindeer? Delivering presents? Check in any time of day, year round. Santa spends most of his time at home on the North Pole, but where in the world will he be on Christmas Eve? Lock on and find out! This app is a simulation for entertainment purposes only. See the help page for questions and support. Visuals by Dewi Marisa. App icon by Igor R.